Yahoo’s chief scientist Prabhakar Raghavan is taking a job at Google as circulating rumors hint at massive cuts within the Sunnyvale, Calif.-based search engine. “Yahoo! 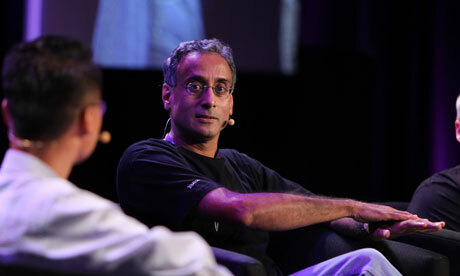 thanks Prabhakar Raghavan for his dedication and contributions to Yahoo! for the past 7 years. We wish him well in his next endeavor. Ash Munshi, CTO, will assume leadership for Y! Labs,” announced the company. The gig transition is possibly due to division cutbacks in the research sector, where Raghavan examined a plethora of areas at Yahoo from algorithms and data mining to advertising for 7 years. He has a Berkley PhD and previous experience as Chief Technology Officer at Verity and various titles at IBM research. Former Yahoo Chief Executive Officer Carol Bertz made Raghavan the Lab and strategy head, but the new CEO Scott Thompson seems to have different plans. AllThingsD further reported today that Thompson is planning a large-scale company restructure that includes significant layoffs. According to CNET, Raghavan’s move is just another disturbance at Yahoo since the firm’s board fired Bartz last year and replaced him with Thompson. Recent reports indicate many Yahooers are not happy with the new direction and have considered quitting. However, it seems they might not have a chance to submit their resignations as rumored layoffs loom ahead. Raghavan’s new line of work at Google is currently unknown. In related news, Marsh & McLennan’s Chief Financial Officer Vanessa Wittman is seizing a senior role at Google. Market Watch reported today that Wittman notified the insurance brokerage firm last week that she plans to leave for Google in late March. Her professional background includes 360networks and Microsoft, and she oversaw the notoriously complex bankruptcy case of the no longer existing cable operator Adelphia Communications Corp.
Like Raghavan, Wittman’s new position at the Mountain View, Calif.-based Internet giant is unclear.